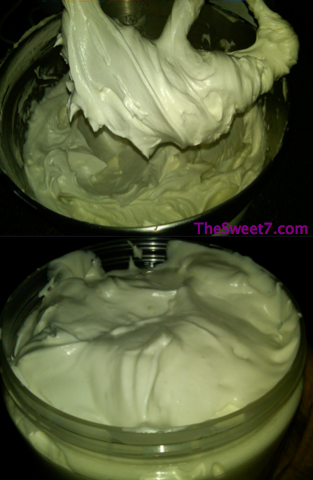 When I browsed all recipes, I came across this "Amazing Whipped Shea Butter" recipe, a day too late! This was me whipping up my own home made recipe yesterday of shea butter, coconut oil, olive oil and a Carol's Daughter fragrance. I may add some drops of tea tree oil now.